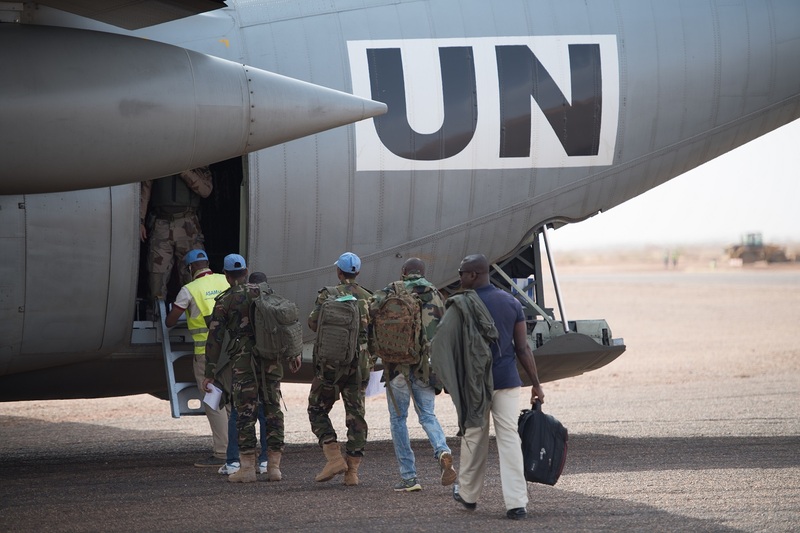 In the vast country of Mali is crucial for MINUSMA to assure air transport capacity as part of the implementation of the mandate. Since November 2017, the Swedish Contingent Tactical Aircraft Detachment (SWETAD C-130) has provided this vital capability to the mission. Located in the North of Mali, Tessalit is a remote city, very difficult to reach by road. The commissioning of the airport is very limited and the runway made of gravel. 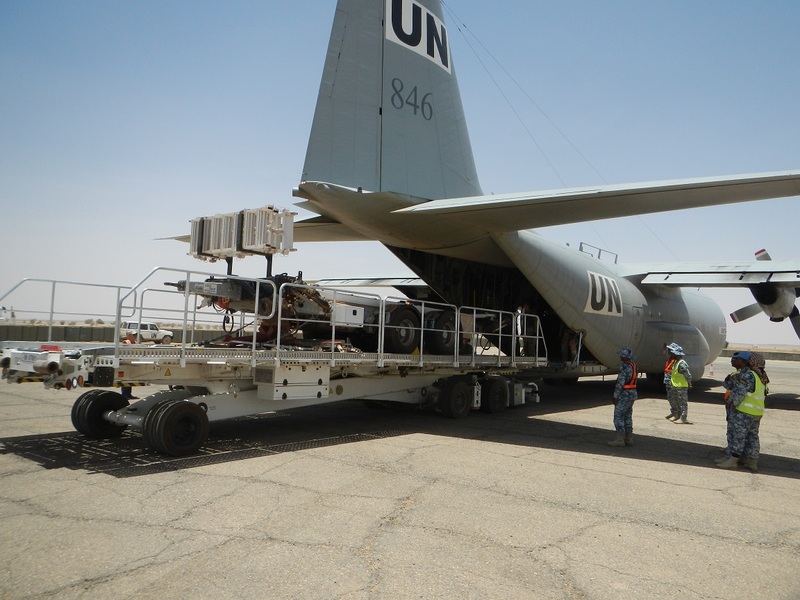 At the end of April, the SWETAD C-130 was deployed by MINUSMA to Tessalit to provide specific equipment, such as a 11th tons loader used to facilitate the transport of heavy loads on aircraft. The transport of this type equipment is an extremely delicate operation that has significantly increased the Mission's logistics capacity in the North of the country. With the arrival of the new logistic equipment, the Swedish C-130 performed other major tasks in Tessalit, such as the transport of a mobile air traffic control tower. This tower was sent to Tessalit twice with the loader. The tower will handling capacity in this important logistic hub in the region. Speaking on the subject, the C-130 Commander Lieutenant-Colonel Malin Persson, who is the only female commander of a MINUSMA military unit, said: "We are pleased to be able to contribute to improve the logistics capacity of MINUSMA in Tessalit. Our mission is coming to end soon and I'm very proud to be able to participate in Mali's long-term development." 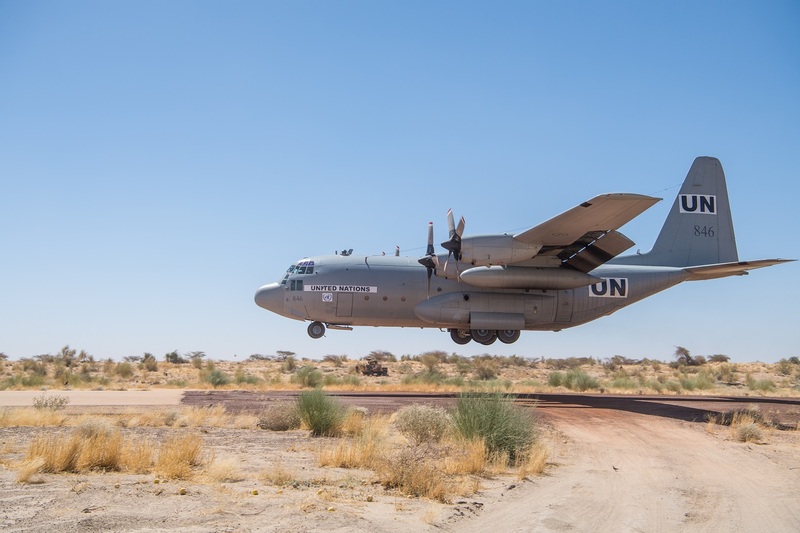 Previously, SWETAD C-130 had performed a variety of missions across all Mission airports (Bamako, Timbuktu, Gao, Mopti and Tessalit), including personnel and vehicle transport, medical evacuations and operations, parachuting of goods and troops. The SWETAD C-130 Tactical Air Supply Detachment is a rotational concept launched by Norway. Contributing countries are Sweden, Norway, Portugal, Denmark and Belgium. Belgium will fill this capacity beginning on May 2018. The Air Tactical Detachment consists of a C-130 Hercules military transport aircraft based in Bamako, as well as the crew members, maintenance officers and logistic support that plan and prepare activities. 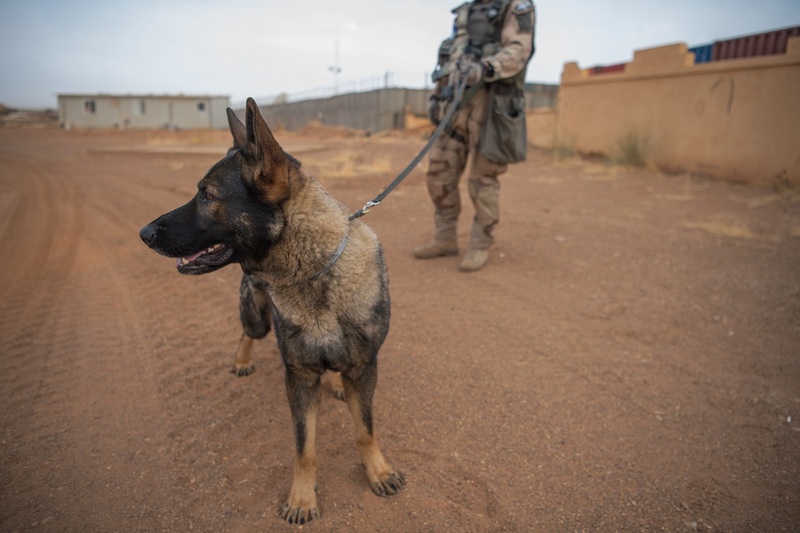 A flying security team, composed of Air Force Soldiers and a dog specially trained to detect explosives and weapons. Also, the Swedish C-130 unit was tasked with another mission to Tessalit to transport a mobile air traffic control tower. The tower was flown in two parts on two consecutive days; first the base of the tower and then the tower itself. Due to the lack of cargo handling equipment at Tessalit, the tower had not been transported earlier, but with the new k-loader in place, this was possible. The mobile tower in Tessalit will improve the air traffic control capacity of MINUSMA in this region.